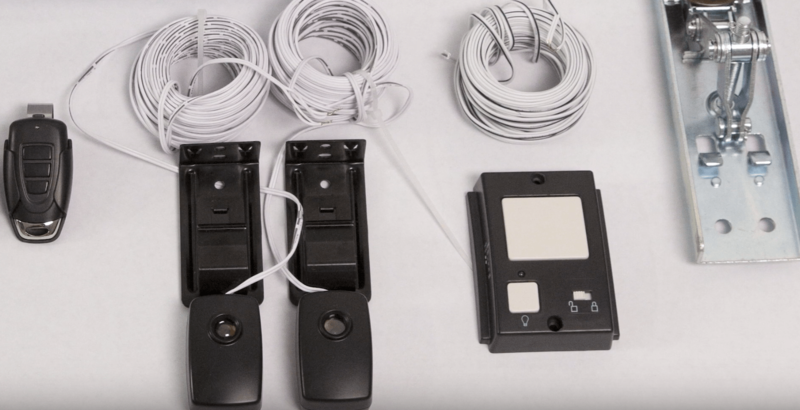 Since I was simply replacing an existing garage door opener system, setup was actually really simple. The Atoms uses a standard t-rail track, which was what I already had installed. My existing track wasn’t in the best shape, so I uninstalled it and replaced it with the new Atoms track. Same screw holes and mounts, so the track assembly took less than 20 minutes to build and install. If you were to install this in a new construction setup, it wouldn’t take much longer, but you’ll want to make sure everything is level before drilling new holes to mount the track.  Skylink has a great library of installation videos that made it much easier to follow along with and double check to make sure we were doing things the correctly. Once the belt drive and trolley are in place, you’ll want to grab a buddy to help hoist it up and screw everything in place. After everything is mounted in the correct spot, it’s time to clamp on the safety beam sensors and run the wires up and connect them into the Atoms unit. You’ll want to do the same thing with the button opener. They provide nail-in clips to keep the wires nice and tidy. After everything is up and in place, it’s just a matter of syncing the openers, installing the smart hub to the router, and installing the phone app, which are all way less labour intensive. The Atoms unit may be small, but don’t let that fool you. It’s unique design with belt drive option is what allows this little opener to be both powerful and quite. Half the size of my previous opener and 10 times quieter. The belt drive eliminates the noise while the drive ensures the power to open and close our oversized door. It also has a bright LED light to help illuminate up your garage as well as a smaller led indicator for easy syncing and setup options. 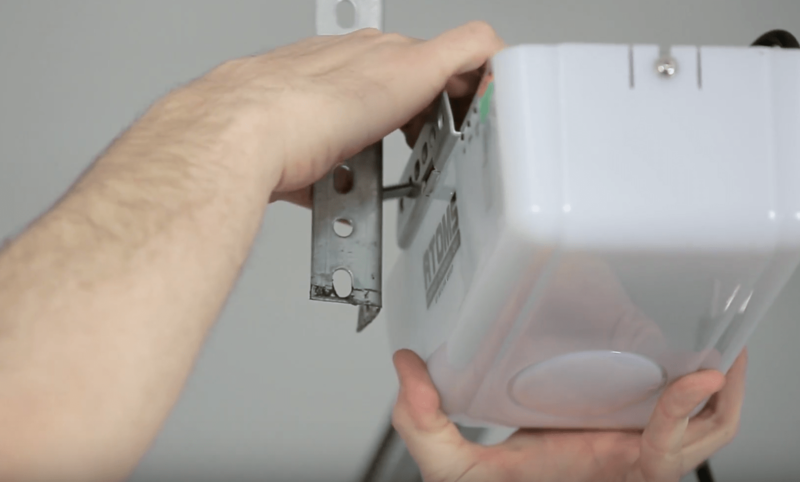 With all the “smart” devices today, it only makes more sense to integrate “smart” features into the Atoms Garage Door Opener. That’s exactly what they did. 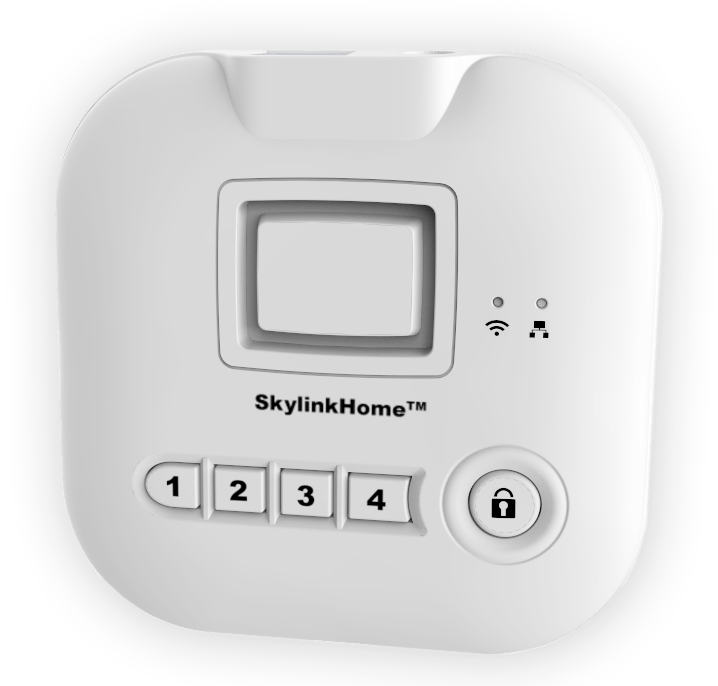 Utilizing SkylinkNet (I know… eerily close to Terminators “Skynet”), you can use the SkylinkNet hub to connect your phone so that you can open and close your garage door from anywhere in the world, provided you have cellular/internet access. Taking it a step further, you can utilize the IFTTT to connect with Amazon’s Alexa so you can open the garage door by simply saying “Alexa, tell SkylinkNet to open garage door”. No need to exhaust yourself by pressing a button, just open your mouth and say the magical words to open the door. Gotta love “Smart Devices” that allow us to feel like we are living in the future. 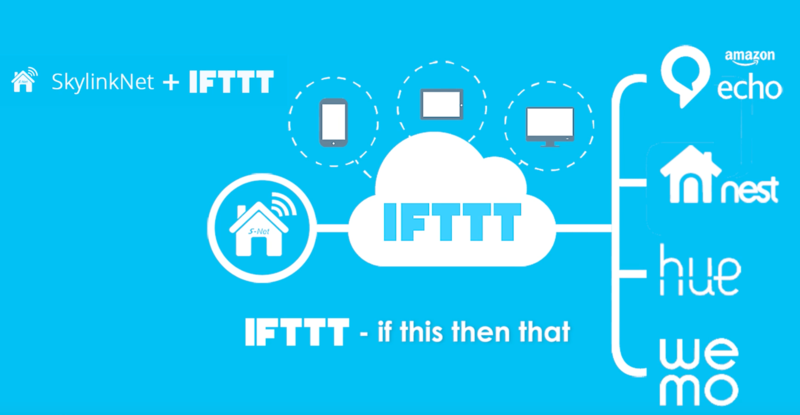 IFTTT also allows you to setup routines that trigger other events as well. If you have smart bulbs installed in your house, you can set it up to turn on certain lights when the garage door opens. 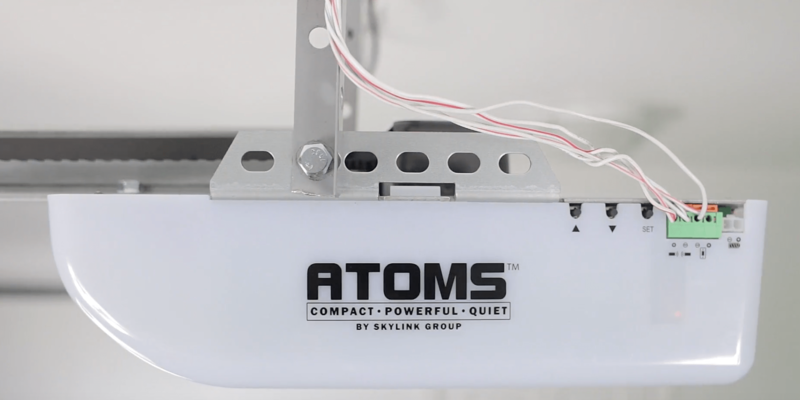 Atoms isn’t the top of the line garage door opener offered by Skylink, however, it get’s the job done with ease. From setup to usability, the Atoms proved it was a good investment for those looking for a quiet, easy, and smart solution to their garage opening needs. 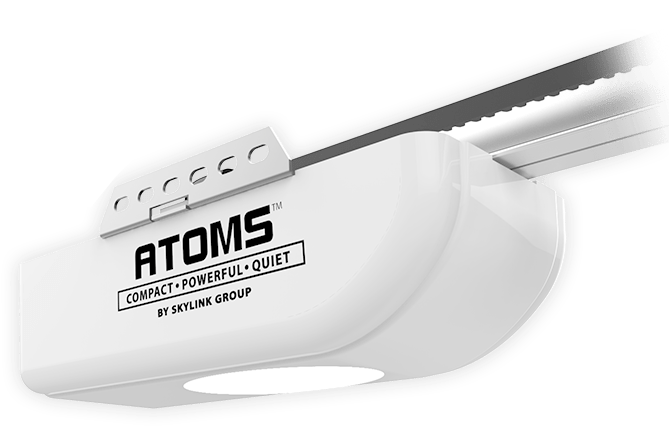 Smart, compact yet impressively powerful and quiet, the Atoms garage door opener has both Brains and Brawn in an affordable package. Still waiting to find something negative... time will tell. I had a 1/2 HPF ATOM AT-2612 belt driven garage door opener installed. The top side face-plate of the opener unit indicates, “Model AT-600.” Was I scammed? Shouldn’t the physical GDO unit say “Model AT-2612?” The AT-2612 is supposed to have “soft start and stop.” My opener seems to have only one continuous movement up and down, not slow start than faster then slow to stop. Is this a programming issue or did I get some old or other model (“AT-600?”) that does not support “soft start and stop” feature? Do all the ATOM 1/2 HPF Garage Door Openers (like the ATOM “AT-1612” use the same “AT-600” motor? What experiences have you had with the ATOM GDO’s with soft start and stop? Thank you very much for your help. It is truly appreciated!